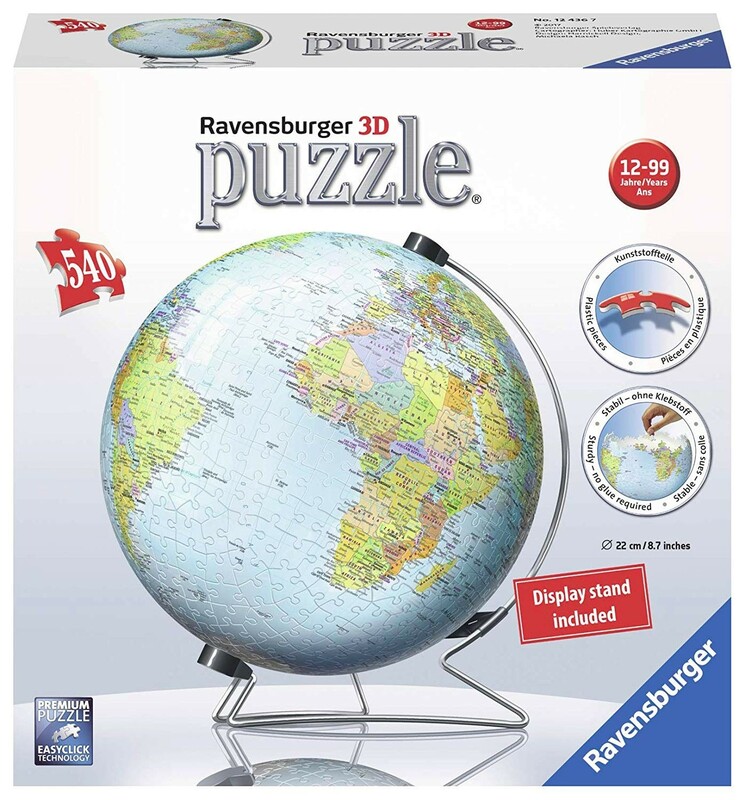 This beautifully detailed globe puzzle is made of curved, sturdy plastic pieces that fit together snugly to form a perfectly smooth surface. 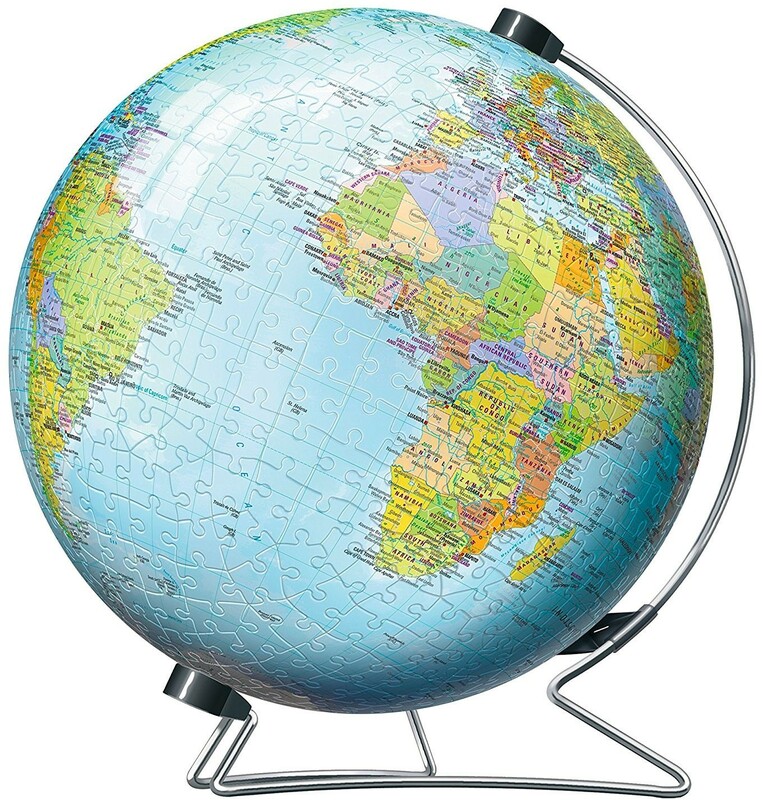 No glue required! Underside of each piece is conveniently numbered. 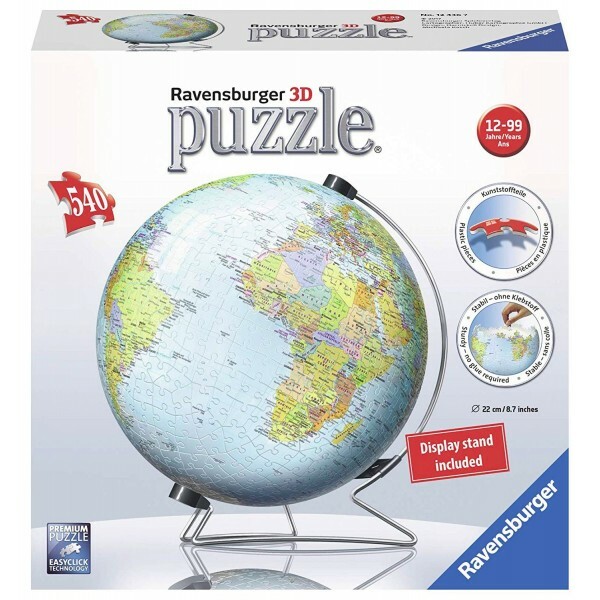 Includes 540 puzzle pieces, plastic display stand, metal display stand, reference map, and instructions.